We hope you guessed The Statue of Liberty! 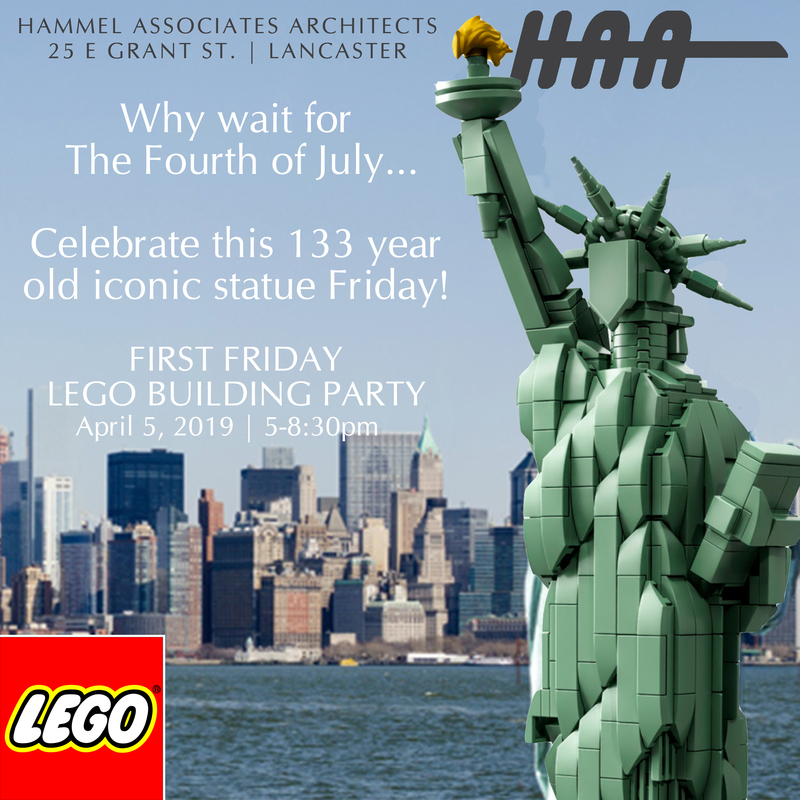 Let’s celebrate this 133 year old iconic statue Friday night at Hammel Associates Architects. Build the Lady herself or go freestyle with more than 40,000 bricks, plates and specialty pieces. Be sure to bring the kids, this First Friday, April 5th, 5-8:30pm!